I’ve been told it’s important to always be nice. But nice can be dangerous. It puts me in places I don’t want to be. I don’t know how to get out of them and still be a nice girl. He gives me flowers and demands which he mistakes for endearments. I try to explain to him. To make him realize that this is not how love works. I don’t think he even understands. I don’t know what will happen if I stop being nice. Last week I got to wear a blue (blue! not black!) dress and interview Neil Gaiman and talk about The Ocean at the End of the Lane and admit in front of hundreds of people that I’ve never seen Doctor Who. I had planned on doing some sort of post-event blog post but then afterwards I really wasn’t sure what to say. I had a lot of fun and though I was supremely nervous it went really well and everyone including Neil seemed very pleased with everything. He’s remarkably easy to interview considering he kept answering questions before I even asked them. Perhaps he’s clairvoyant. I met him for the very first time about an hour before we were on stage so the whole thing felt remarkably surreal. 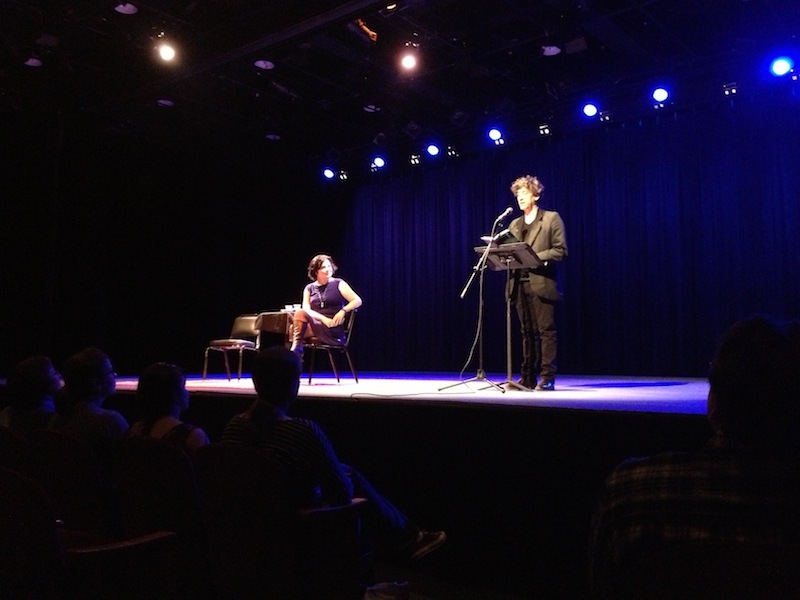 There is an excellent writeup of the evening over on Tor.com (though I think a few of the quotes about whether or not we die may be misattributed). I had many more questions than we had time for, though my main goal was to talk about things that maybe weren’t being talked about at every single stop on his tour, and we got tiny frogs in teacups and BPAL and Mythic Boy Jesus so I’d call that a win. One of the last audience questions posed to Neil was “Who is your favourite living writer?” and of course it was a longer list than just one, and included a few recently no longer living writers as well, like Iain Banks and Diana Wynne Jones. And I thought in that moment how incredibly lucky I was to be sitting there, when I will never get the opportunity to meet the other gigantic influence on my writer-brain I mentioned in my babbling introduction, the incomparable Douglas Adams. I would not be the writer I am today without Neil Gaiman. I’m not sure I would even be a writer at all without him. I discovered his work at the perfect time for my developing story-brain and I am eternally grateful for that. For your work and for asking me to do this event and for being a real live lovely person. 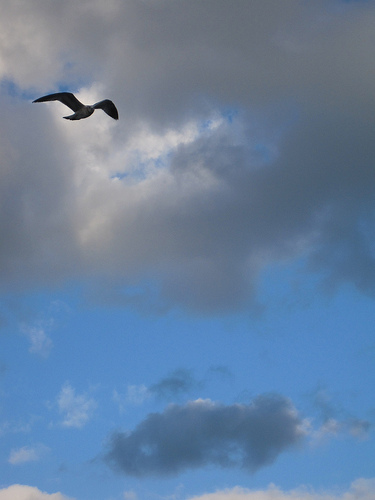 I hadn’t seen any birds at all for so long that at first the dark spot on the blue sky was a puzzlement. My eyes couldn’t sort out what it was until it came close enough that the birdness was undeniable. I think he’s a seagull. That would make sense. I expected him to fly away, but he’s stayed with me. I worry that he might be better off if he kept going, though I am glad for the company. He cries, but most of the time the wind carries the sound away. Not that I would understand what he’s trying to tell me even if I could hear him properly. He circles my boat, but he never tries to land on it. He looks at me forlornly, as though he suspects, like I do, that there is no more land to be found. 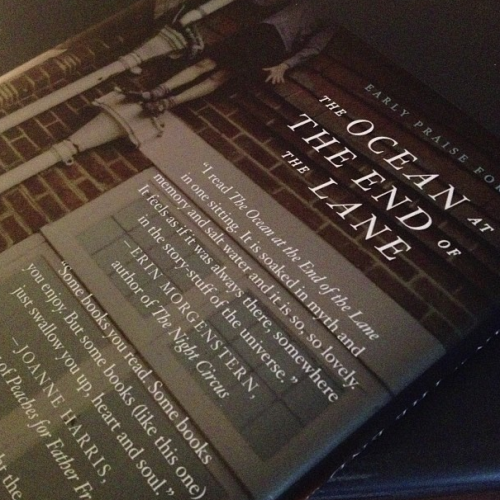 Neil Gaiman’s lovely, brilliant The Ocean at the End of the Lane comes out today, hurrah! I was asked by the publisher if they could use a quote that was an amalgamation of things I’d said on Twitter and here and of course I said yes. I truly thought they’d use it in promotional materials or something, so when I received a finished copy of the book with this on the back I was surprised and delighted and I am absolutely honored that my name is on this book. 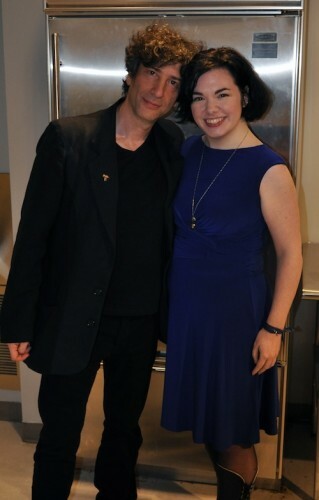 Tomorrow night at Symphony Space I shall be in conversation with Mr. Gaiman himself and I have all sorts of things (non-spoilery things!) to ask about this book and general things about writing and stories and myths and memories and such. As I’ve mentioned before, the event is already sold out so my apologies for that. Hopefully it will not be like the anxiety dream I had last night where I couldn’t find my cards with my questions and topics and there was hardly anyone there and all anyone wanted to talk about was baking. Today I will be re-reading The Ocean at the End of the Lane so it is fresh in my mind and drinking lots of tea (yerba mate with coconut sugar) and wondering why I still feel like I am comparatively new to the world of Neil Gaiman when I’ve been reading his books for over a decade. My mother says they’re the biggest gossips in the neighborhood but I don’t think that makes much sense. They’re both too small to be the biggest anything. 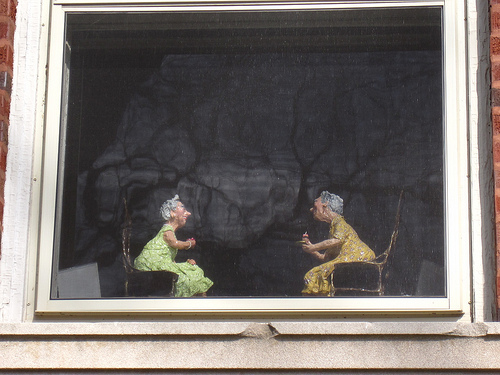 They sit in the window together on tiny chairs and drink their tea and talk a lot. My sister says they’re witches. I’m not sure, because they wear flowered dresses and they don’t have pointy hats, but they might be in disguise. I’ve been told to stay away from them but if I walk by their window I say hello. They call me “dearie” and ask me about things that I don’t understand how they know about because I haven’t told anyone, so I don’t always admit everything but I try to be polite. They give me lemon cakes smaller than my fingernail that taste like icing-covered sunshine and always make me feel better than I did before. I would love to know more behind the inspiration for the Night Circus and a possible sequel? Possibly bad news first: no sequel. It was never written to be a series, I don’t want to try to make it something that it’s not, so there will be no book two or anything like that. Possibly good news second: I would like to write more stuff about the circus in the future, likely in short pieces of backstory or sidestory or futurestory. No idea when I’d get to that, though. Inspiration-wise the entire thing started as a tangent in another novel that I was working on for NaNoWriMo. I got bored & sent the characters to the circus. That’s where it started, with the instant manifestation of a circus in my imagination, which at that point had lots of tents and a bonfire in the center though I wasn’t sure what the bonfire was for yet. Poppet & Widget were in that first wandering through the circus, along with their kittens. I decided to write more about the circus though I wasn’t sure what I’d do with it, so I wrote lots of little vignettes about tents, about the creators of the circus, about its performers and fans. Eventually I had enough vignettes to fill a novel and then it was a long road of revising before it reached its finished form. There are a lot of specific influences and flavors in play, inspirations ranging from Shakespeare and Dickens to Edward Gorey and Roald Dahl. The circus itself is my ideal entertainment venue, elegant and immersive, something to explore in a self-directed way. The black-and-white came from wanting to have a clear-cut visual aesthetic and wanting to give it a formality, a circus in evening wear. There was a knife-throwing tent at one point. It wasn’t so much that there wasn’t space for it, but more that it seemed like excessive amounts of knife-throwing. There was a tent that was removed fairly late into revisions, it’s referred to in passing as being reminiscent of Indonesian puppet theatre. 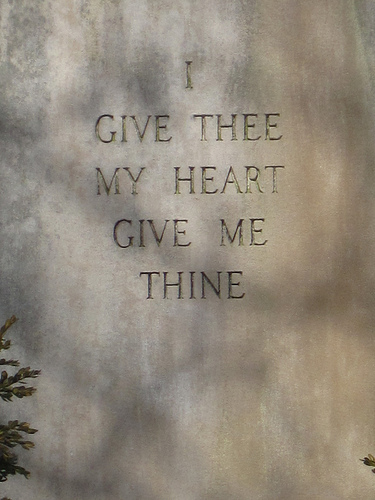 It used to be online somewhere as an excerpt but my search skills are failing me. It’s a paper-screen maze with shifting walls and the puppets, among other things, act out Tsukiko’s backstory. As someone who loves present-tense, I would love to know why you chose to write The Night Circus in present-tense. The present tense decision was made fairly easily, because I knew from the beginning that I wanted to include sections of the circus itself told in second person. Since the second person sections would have to be in present tense, I thought it would be too jarring to go back and forth between past and present, so I kept everything in present. I also think it worked better for the alternating timelines, keeping everything immediate. I prefer present tense and it’s usually my default writing-wise unless something really reads better in past. is night circus going to be made into a movie? Possibly. The answer will remain “possibly” pretty much until it’s in theatres, if it ever is. The film rights were optioned not long after the book sold by Summit Entertainment, David Heyman who produced the Harry Potter films is signed on to produce, I believe they’re currently looking for a director. They don’t always tell me things. I’m sure there are meetings and phone calls and such going on that I’m not privy to. I’m involved more than most authors which is still really not all that involved at all, and it’s in the early stages at this point, so it’ll be awhile but when I have updates I’m allowed to share I will share them. I have a lousy memory but a rather good sense of smell. And since the sense of smell has the strongest memory-triggering power a scent will often remind me of something I can’t remember. It’s rather disorienting. The scent of those nut-roasting street vendor carts always does that, especially in winter. I get that nostalgia kick to the olfactory receptors and I have no idea what it’s for. I don’t know if that’s better or worse than immediately being pulled back into the memory proper. That idea of scent triggering memories and memory-as-story was the genesis of the Bedtime Stories tent. That and a mild obsession with BPAL. Literally any hint whatsoever about your next book. Even if it’s one word. blog about what you’re working on writing-wise. At this very moment writing-wise I’m trying to write a bunch of flax-golden tales so I can schedule them ahead of time for most of the summer and focus on the new novel. I usually write them weekly so it’s interesting to do several at the same time. Mostly I’m working on the new novel that is still not book-shaped. Currently this consists of more research than writing, and when there is writing it is scrawled in blue-green ink with a fountain pen. I have more blue-green pages than I did a few weeks ago, though, so that’s something. what is the focus of your next book? If I knew what the focus was I’d probably be further along than I am. It is a loose riff on an Alice in Wonderland motif so I do have a central protagonist this time but it’s still a bit of an ensemble piece and I’m still putting together the ensemble. It’s a mystery (several mysteries, actually) but I haven’t piled all the clues and red herrings together yet. If a book is like a jigsaw puzzle I’m still sawing out pieces though I have a few of the already-shaped pieces connected. I’m figuring out more of the flavors and influences for this one, the biggest ones are Alice, of course, and classic detective novels and cocktails as alchemy and Egyptian mythology. I’m worldbuilding and characterbuilding and trying to find the story within all that, and then I can figure out the best way to tell it. Not for a good long while, I’m afraid. It’s not finished yet, so I have to do that first. After I’m finished it’ll likely be a year to a year and a half before it’s actually in stores because it’ll need to be edited and prettied up and made all shiny. I’d rather take my time and write something good than rush just to have another book on shelves. I’ve been working on this one for awhile but I’ve been busy and haven’t been able to sink my brain into it the way I need to until recently. That’s it for the Twitter-sourcing this go-round, thank you to everyone who suggested or asked things and my apologies to the ones I didn’t get to. I will likely do this again sometime. I wasn’t sure what to blog about today and for the sake of experimentation, I asked Twitter. Twitter gave me lots of suggestions, so I am going to try to address as many of them as I can, likely over 3 or so posts. This is the first one. (I’ve broken out all the circus/new book stuff to talk about together.) I will get to the rest of them soon(ish). So this sad thing happened about three years ago or so. I read an article about gluten allergies and on a whim decided to avoid it for two weeks and in that two weeks I lost over five pounds and felt way better than usual so I decided maybe I should continue avoiding. But of course that makes all the wonderful delicious gluten-filled foodstuffs difficult. Luckily gluten-free seems to be quite trendy at the moment but proper pizza is still difficult. There was a restaurant in Boston I used to get rather good gluten-free pizza from (Nebo, for the curious, the zucchini one is my favorite), haven’t found one in NYC yet. I did find good frozen gluten-free “pizza crusts” that are questionable if you go classic red sauce on but really good if treated more like flatbread. I do pear/goat cheese/honey things or bbq chicken or fig and prosciutto. My favorite regular pizza topping is pineapple, though. Any tips for Camp NaNoWriMo? I think my Camp NaNo tips are likely the same as my regular November NaNo tips except possibly with more iced beverages. Don’t re-read. If you want to delete something turn the font color to white instead and keep going. Always meet your daily wordcount minimum. Get a head start if you can. Remember you can go back and make things better afterwards. Surprise yourself. My official NaNoWriMo pep talk is over here. Hurrah, I hope your move goes smoothly! It is my first NYC summer, indeed. So far it seems more exciting than winter in NYC (which was about hibernating) and spring in NYC (which was rainy). I have already read in Central Park on a blanket in a shady spot on a hot day, which reminds me a bit of being at an oceanless green beach. I am also completely enamored of all the fantastic outdoor dining/drinking spots. Right now my two favorite rooftops are Gallow Green and the rooftop at pod39. In general, the things that excite me most about NYC are food or drink related. Also parks. I think the witch in Hansel&Gretel inherited her tasty house and only hates kids b/c they’re always destroying it. Thoughts? I have always thought those kids were terribly rude for eating someone’s house without so much as asking first. Makes me wonder if they’d just knocked on the door and said “Hello, we are lost and scared and hungry” would they have been given a proper balanced meal and everything would have been happy ever after. This makes me want some sort of re-imagining where Hansel & Gretel are polite and the witch adopts them and they become little fledgling cannibals. This is likely proof that I never set out to be a writer: I can’t really remember. I vaguely recall writing crayon stories when I was very small though they weren’t very long and I doubt they had plots. I do remember writing a short story when I was maybe 12 or 13 for a creative writing class at arts camp that was a re-telling of the Frog Prince where the frog just sang Village People songs and said snarky things and then stayed a frog at the end. I second the favourite book growing up suggestion. Or favourite NYC bookstores. Any new discoveries? I had a lot of favorite books growing up. The ones I really remember vividly are Mail-Order Wings by Beatrice Gormley (the girl in the book orders wings from an ad in the back of a comic book, and the comic itself is a version of The Metamorphosis, so I had my first exposure to Kafka when I was about 8 years old) and The Egypt Game by Zilpha Keatley Snyder. That’s the one that probably ensnared my imagination the most. I used to build Egyptian temples in the woods behind my house, with sticks and rocks and feathers and things. This is how I know I am not allergic to poison ivy. 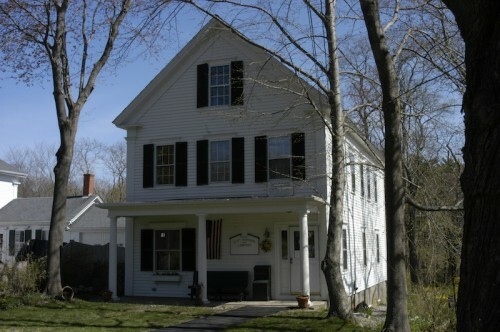 The Clift Rodgers Library in Marshfield, Massachusetts. (I’m not sure I ever realized when I was young that it was Clift and not Cliff.) It’s a tiny little space in a beautiful old white house that has been a library since, I believe, 1897. Upstairs is a consignment shop, so I still associate libraries with old things and mysterious treasures. My favorite NYC bookstore so far, despite the fact that it intimidates me, is probably The Strand. So many books! I get book shopping anxiety there but sometimes it’s worth it. My favorite new discovery is Kinokuniya near Bryant Park, it has books in English as well as Japanese and lots of other delightful things. I’ve been very tempted to get the new Murakami even though I can’t read it. That’s it for part one! Thank you for the topics! Parts two & three forthcoming. 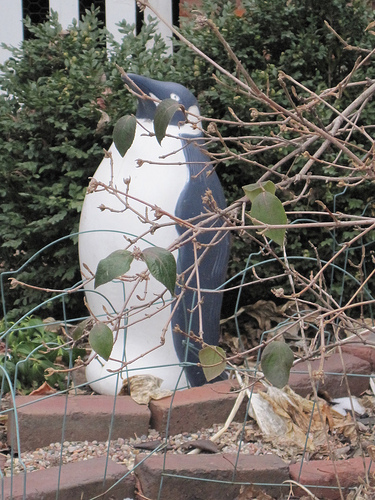 There’s a penguin in the shrubbery staring at my neighbor’s house. He’s still there when I go to get the mail, so I walk over to see what he’s up to. He freezes and looks shifty-eyed for a moment and it seems like he might run away but he doesn’t. I think he snuffs out a cigarette on the ground before I reach him but I can’t tell for sure. I ask what he’s doing. Classified, the penguin says, with an apologetic shrug. When I start to walk away he asks me if I’ve seen anything suspicious, which I haven’t. He seems disappointed but he gives me his card and asks me to contact him if I do and then he warns me not to talk to tigers and leaves. The card says “P.I.” and contacting him involves leaving a pie to cool in a south-facing window, so I don’t think much of it and make a mental note to ask my neighbor if he knows anything about the penguin next time I see him. The tiger knocks on my door just after dark but I don’t answer, and as soon as he gives up and stalks off I start baking. This post has no rhyme or reason unless accidental rhymes sneak in and also there’s a cow at the end. But I had a lot of things to post so I figured I would put them all in one post and they can keep each other company. 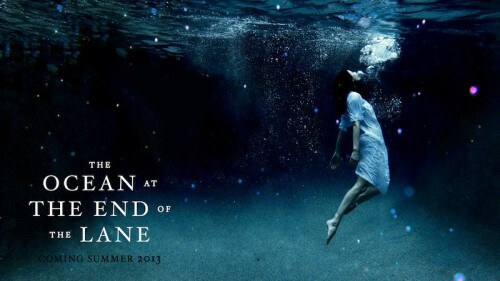 Firstly and likely most importantly, the high-pitched noise of utter delight you may have heard resonating around the internet yesterday was me being asked to interview/converse with Neil Gaiman for his upcoming NYC event at Symphony Space for The Ocean at the End of the Lane (which I loved) on June 19th. I am honored and elated and a little bit nervous, but I have two weeks to calm down. I will post more information when I have it. The event is already sold out. My apologies. I saw this video floating around the internet before today and I didn’t click it at first because I am the last person in the world who hasn’t read any John Green (though I know who he is and I’ve been meaning to!) and I don’t follow him on Twitter or Tumblr but after seeing it linked & re-posted by people I know and read and admire, I clicked. I love this so much I’m not sure if I can explain it. So many of my own feelings about books and publishing in one lovely, impassioned speech with emphatic swearing and I am going to go buy myself some John Green books from bookstores with booksellers now. Speaking of books and not reading them: Game of Thrones. No spoilers, I promise. But it seems a good time to mention that I watch the HBO show even though I haven’t read George R. R. Martin’s books. While I am normally a supporter of reading books before watching adaptations in this particular case I’m actually glad I haven’t read them because I’m enjoying the story in the show more not knowing what’s going to happen. I like to be surprised. I may be one of the only viewers who rather liked the unexpectedness in the last episode, and also thought it made sense within the narrative. I could probably write an entire spoiler-filled post about it, but I’m supposed to be writing a novel myself. 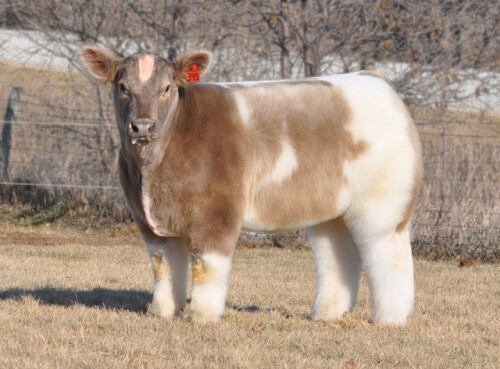 And finally: fluffy cows. FLUFFY COWS. It delights me that they exist. I want to write them into something but I don’t know what. Maybe if I ever get back to that fairy tale thing. More about the cows over here on Laughing Squid. Photo via Lautner Farms.